Cantering with Safaris Unlimited across Kenya's vast plains in the Masai Mara was so much more than I could have imagined! 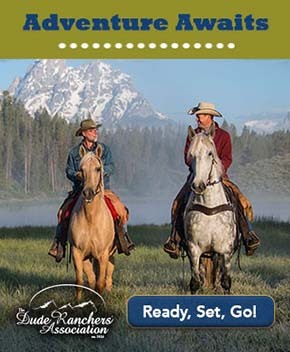 Gordie and Felicia provide guests with horses that are not only beautiful and immaculately cared for, but are also amazing athletes that are well-schooled and behaved, and capable of great lengths of endurance. Some canters and gallops were more than eight minutes long, testing even the accomplished rider's fitness. 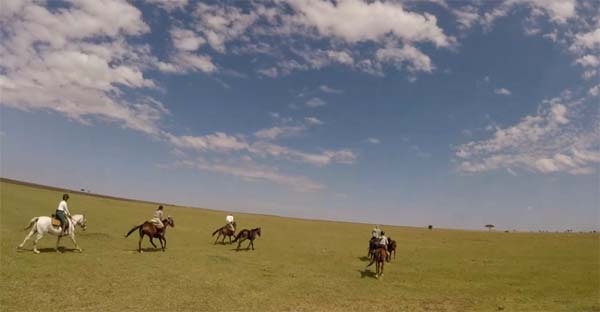 At up to 6,000 feet elevation in the Mara, the air is thin and clear, yet the horses showed no sign of tiring. After building up some stamina the first day out, the experience was invigorating and allowed for a first hand, up-close experience with wildlife cantering beside us. Felicia, Gordie's wife and accomplished partner on safari, manages the horses and their care. Before our first ride, we all sat down. 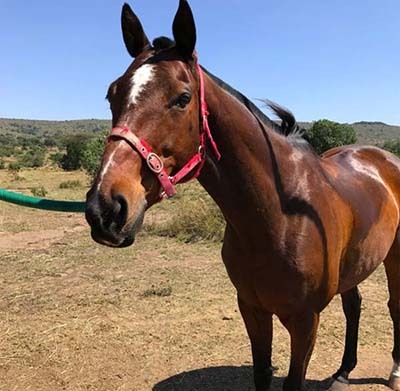 Gordie shared each and every horses' history, how they came to Safaris Unlimited and let us each know who we were riding, their mannerisms, breed, and age. During these rides across the Mara, I could not help thinking that I myself was riding an animal that could easily be prey to a lion. Unlike other safaris where you are safely confined to a game jeep, Safaris Unlimited offers you a unique experience where you are one with the wildlife; by riding a horse alongside other species, I felt an undeniable connection and sense of trust between me and the animals that you cannot attain in a jeep. Gordie led us with his most trusted mount, Mshale, a South African Boerperd. This gave and the other riders no doubt whatsoever that we were safe. Gordie emitted a sense of confidence to his guests and horses that gave us the courage to traverse the Mara and its wildlife. On the days that we moved to a new camp, rides were up to nine hours long, but the team at Safaris Unlimited planned every detail perfectly. After setting out at sunrise, game views were as far as the eye could see, with hundreds of giraffes, Thomson's gazelles, eland, topi, and wildebeests. Our trip coincided with the migration of the wildebeests north from the Serengeti, which presented an incredible, once-in-a-lifetime spectacle, reminiscent of scenes from the Lion King. After a glorious canter one morning, we happened upon a lunch setting that appeared out of nowhere, a frequent occurrence during our week with Gordie. The horses were untacked to graze for a well-deserved break. 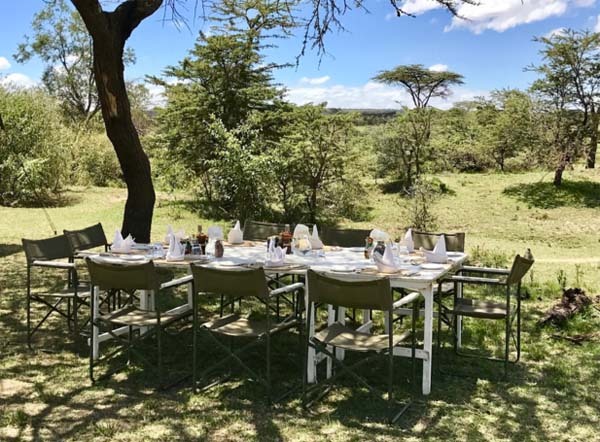 As a bloody mary was placed in my hand, I sat down with my new friends to a three course meal under the shade-filled trees, surrounded by nothing but miles of beautiful landscape and wildlife. A siesta would follow lunch to allow for a break during the warmest part of the day, before picking back up and riding to our new camp and final destination. 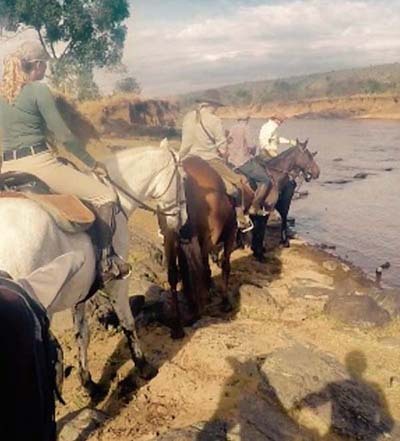 The schedules made up by Safaris Unlimited prioritized the well-being of the horses, always ensuring they had downtime and rest. On non-move days, we enjoyed a short morning ride followed by lunch. The afternoons consisted of jeep drives to let the horses graze. Climbing atop of Gordie's all-terrain vehicle, we were able to sit quietly and observe elephants and hippos, cheetahs, lions, zebras, and ostriches to name a few. Night drives allowed for yet another experience, as the staff equipped us with infra-red lights. 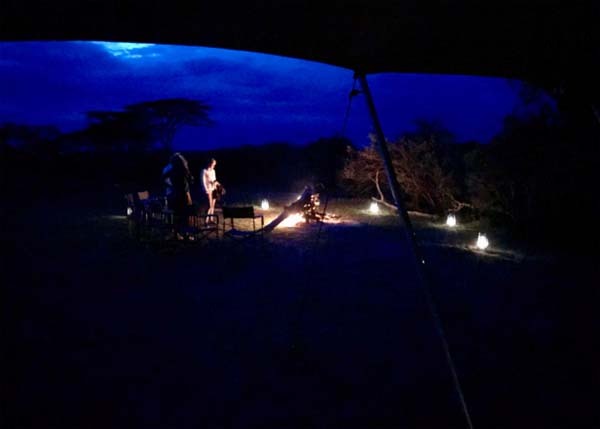 An interactive experience for guests, we manned the lights from the roof while Gordie's trusty crew drove, and our Masai guide led the way in the dark. 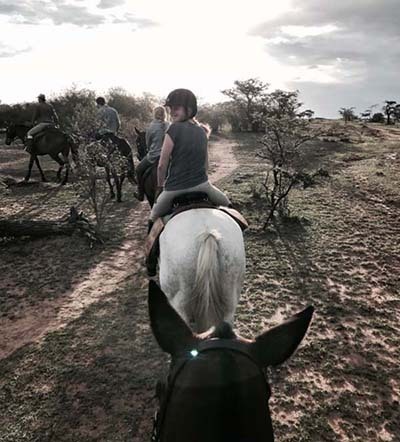 Each day, I was amazed by how much Safaris Unlimited was able to expose us to: hundreds of different species and beautiful sceneries seen both on horseback and driving, both day and at night. 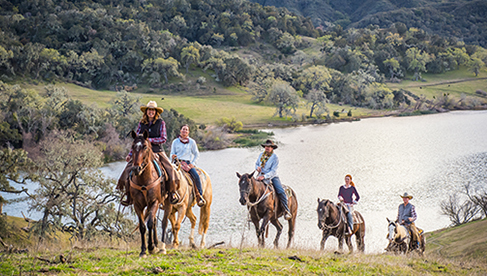 An equestrian safari is truly a special experience, but one with Gordie, Felicia, and Safaris Unlimited is unforgettable and life-changing. For more information on Safaris Unlimited and how to take your own African dream safari, info@equitrekking.com?subject=Equitrekking%20Safaris%20Unlimited">email Goride Church.